Lewis and Clark graduate Briann January started and played 33 minutes for the Indiana Fever in Sunday’s WNBA championship-clinching victory over Minnesota. She scored 15 points and added three assists. January, a first-team all-defensive player, shut down Seimone Augustus, Minnesota’s leading scorer in the playoffs. Augustus was 3 for 21 and scored eight points. INDIANAPOLIS – Tamika Catchings finally won her long-awaited WNBA championship. She scored 25 points to help the Indiana Fever win their first title with an 87-78 victory over the Minnesota Lynx on Sunday night. 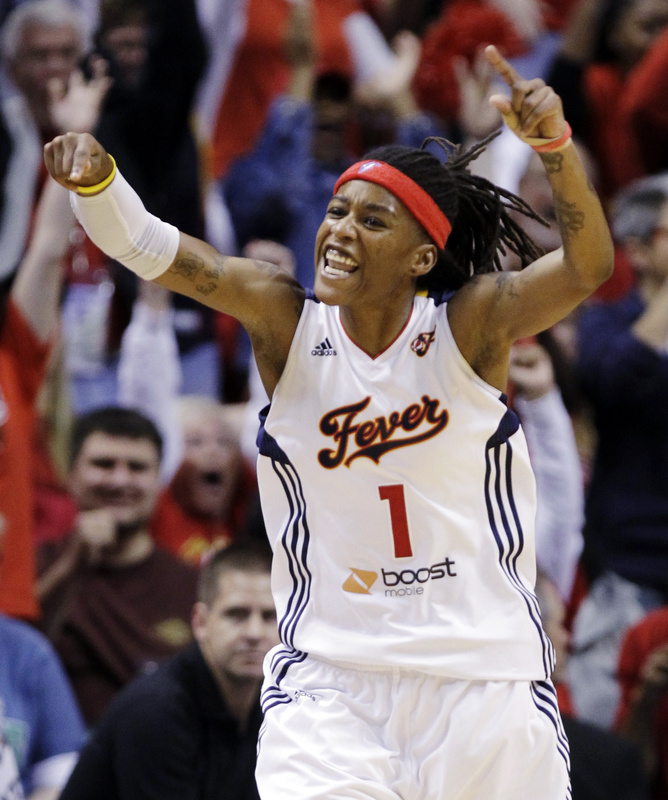 Catchings, who was the MVP of the Finals, averaged 24.8 points in the series, which the Fever won 3-1 over the defending WNBA champions. Erin Phillips added 18 points and eight rebounds while Shavonte Zellous and Briann January each had 15 points. The Fever won even though No. 2 scorer Katie Douglas missed most of the series with a severely sprained left knee. Douglas checked in with 3.2 seconds left to a loud ovation. Catchings had won three Olympic gold medals and an NCAA championship at Tennessee in 1998, but never a WNBA title. She had been in a position to clinch at home before. The Fever led Phoenix 2-1 in the best-of-5 WNBA Finals in 2009, but the Mercury beat the Fever 90-77, took the series back to Phoenix and won the title at home in Game 5. This time, Catchings took it home with college coach Pat Summitt looking on in the crowd. Seimone Augustus, Minnesota’s leading scorer in the playoffs, was held to eight points on 3-for-21 shooting. Lindsay Whalen scored 22 points and Moore added 16 points for the Lynx.